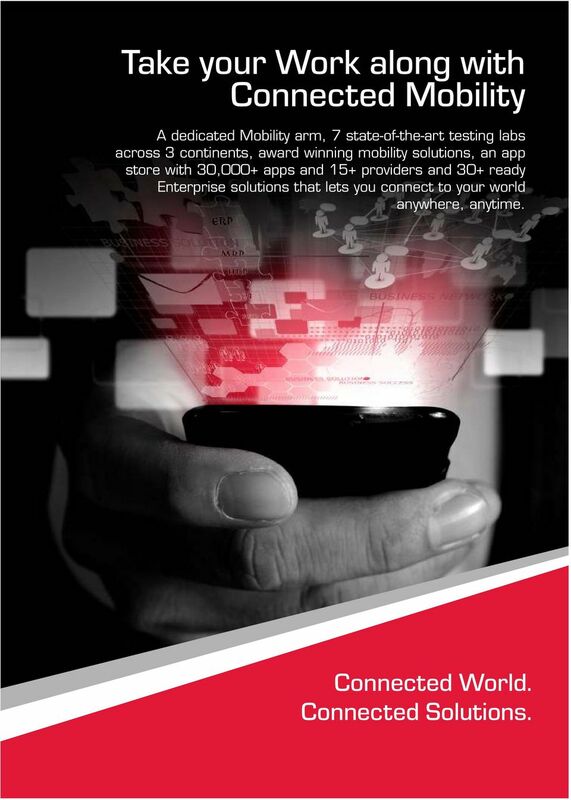 Download "Take your Work along with Connected Mobility"
1 Take your Work along with Connected Mobility A dedicated Mobility arm, 7 state of the art testing labs across 3 continents, award winning mobility solutions, an app store with 30,000+ apps and 15+ providers and 30+ ready Enterprise solutions that lets you connect to your world anywhere, anytime. Connected World. Connected Solutions. 6 Consumer and Utility Services for Transforming Lifestyle and Businesses We have gained creditable lineage in mobility services. 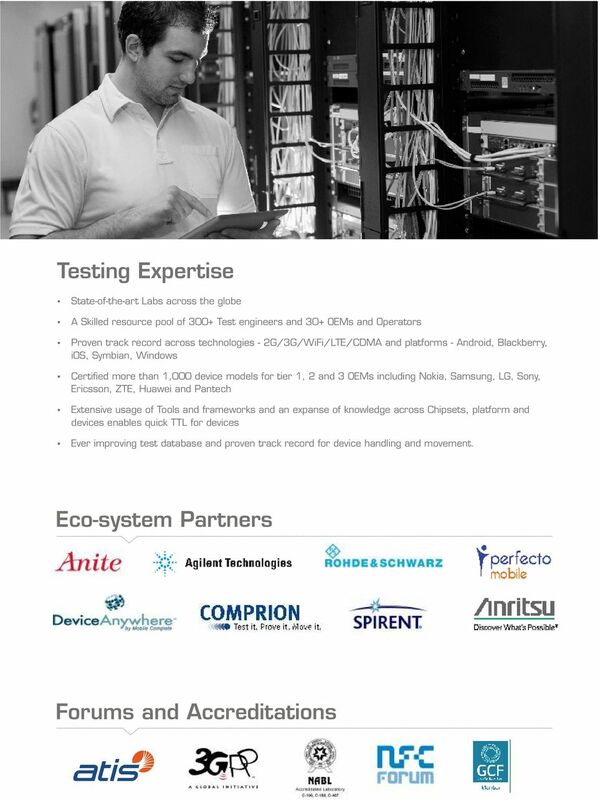 We follow our network agonistic service led approach to enhance the end user experience by leveraging our global expertise and best practices. We are an integrated mobility services player for telecom companies helping them manage their services and increase profitability. Consumer Services NFC enabled Mobile Wallet Solution Mobo Money The solution makes an individual's day to day transactions easy by providing him the ability to securely and conveniently manage personal finances, fund transfer, purchases and perform other transactions electronically using a NFC enabled device. It is based on NFC technology that supports a variety of UseCases for remote as well as proximity payments and can be linked with Bank Accounts/Credit Cards/Prepaid Accounts for making payments and many other utility solutions. Branchless Banking Solution Saral Dhan Access to basic banking services is still quite poor in India. Saral Dhan or Eazy Money is an agency banking solution designed to increase penetration of basic banking services, other financial services like insurance, loans, credit cards and government to consumer disbursements to financially underserved societal segments in a smart, efficient manner. Service Portfolio Media SDP Integrated framework Portal framework Responsive Site Integrated Market Place Voice & Web based job portal for blue collared workers Saral Rozgar Unemployment is one of the biggest problems that hinder the growth of the Indian economy. Saral Rozgar is a pioneer attempt, where blue collar workers get the right to create a profile over web by using mobile technology. It further enables job seekers to get the right employment and salary through simplified technology. 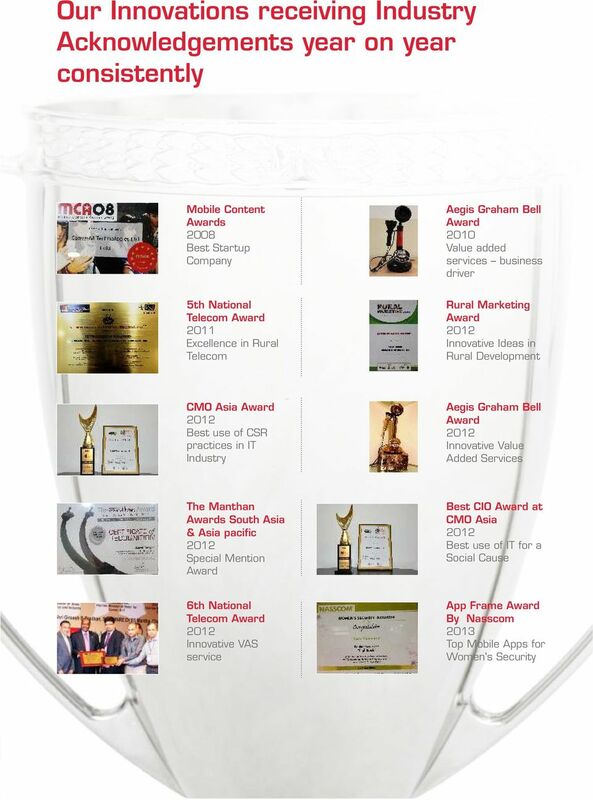 Content Management and Delivery system Mobile money and payment system NFC services platform Subscription and Profiling Engine Advertisement and Campaign Management Engine Location Management platform Developer Forum Loyalty and couponing solution Manage Services and consulting services Revenue Enhancement and Business operations App stores Business Services Our app store services are a complete multichannel platform that enables the subscribers to download rich applications. We have a library of more than 30,000+ Apps and connected to 15 more providers across the world. We support on OS platforms like JAVA, Android, Blackberry, Symbian & Windows. 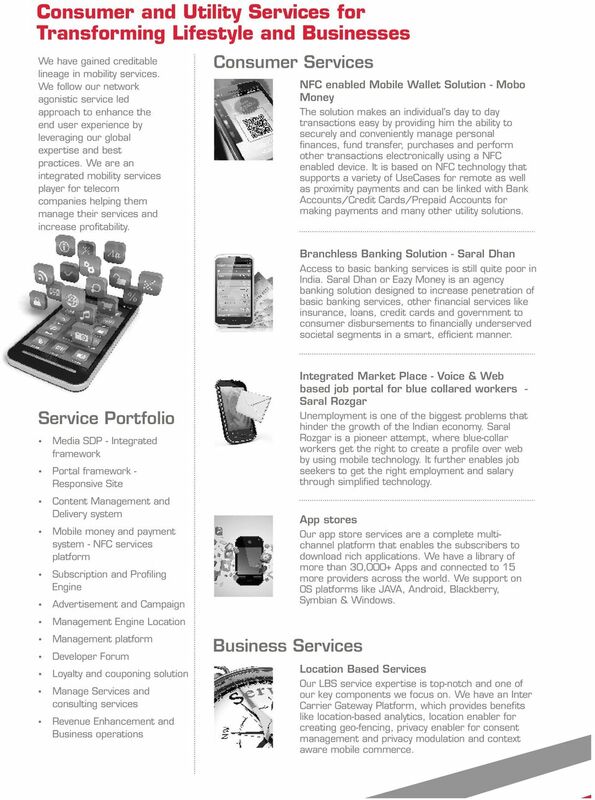 Location Based Services Our LBS service expertise is top notch and one of our key components we focus on. We have an Inter Carrier Gateway Platform, which provides benefits like location based analytics, location enabler for creating geo fencing, privacy enabler for consent management and privacy modulation and context aware mobile commerce. 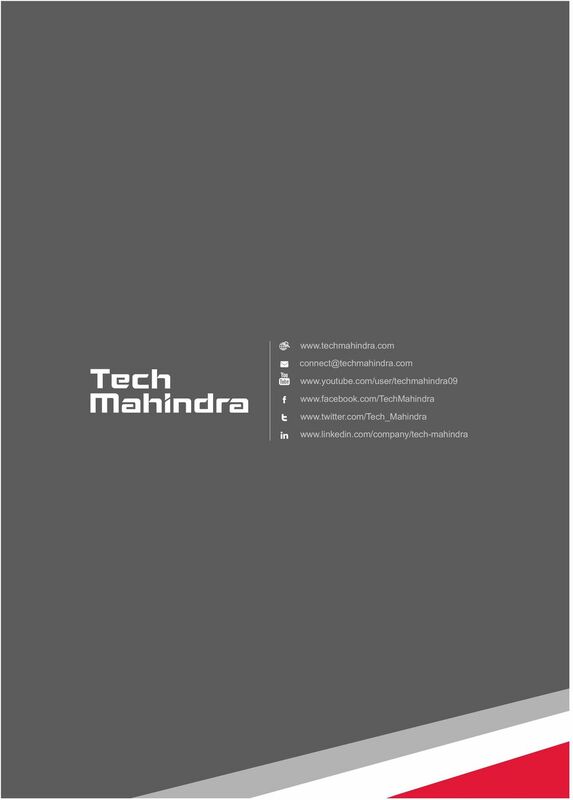 Management of Multi-OS Smart Devices Made Simple. 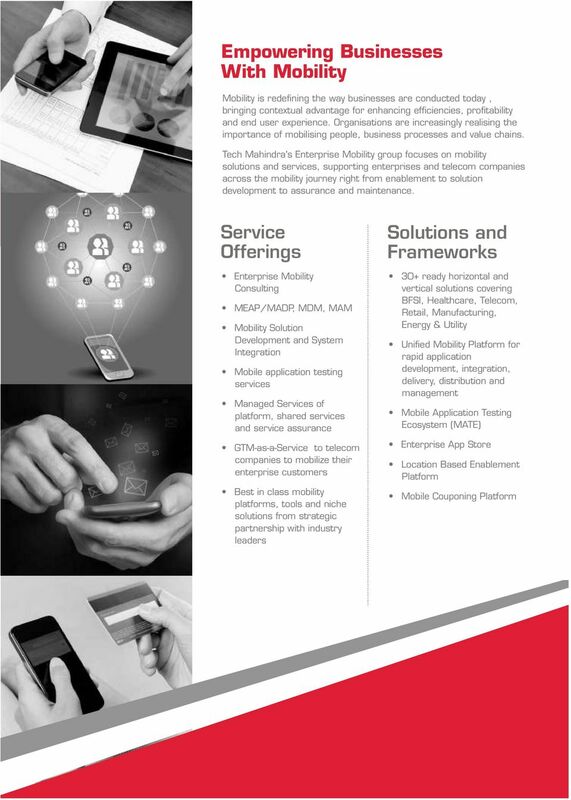 Enterprise-grade Mobile Application Quality across your Application Life cycle THE MOBILECLOUD PLATFORM. 2012 Perfecto Mobile. All rights reserved. We love what we do at RIM and it shows. Veriday solves your greatest engagement challenges by building industry leading online experiences. What is Driving Rapid Growth in the Australian Mobile Advertising Market? WHAT S NEXT FOR MOBILE PAYMENTS? 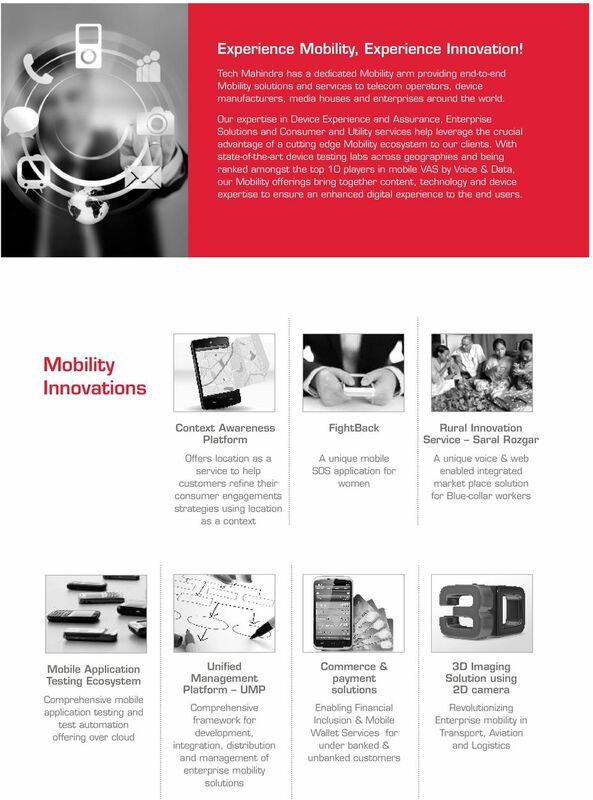 WHAT S NEXT FOR MOBILE PAYMENTS? ? INSIGHT FROM LATIN AMERICA: WHAT S NEXT FOR MOBILE PAYMENTS? Mobile technology opens new opportunities for both financial institutions and merchants in Latin America. Cloud Call Centre. itouch Vision. This document gives an overview of the cloud call Centre and discusses the diﬀerent features and functionality.